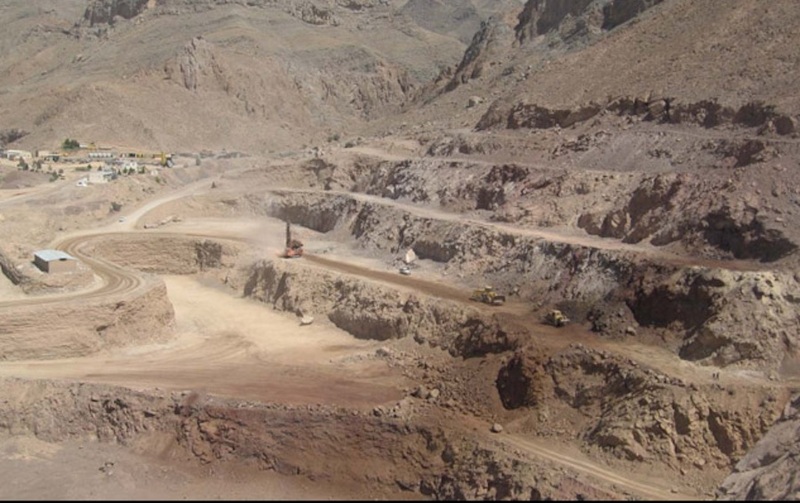 Image of the Mehdiabad zinc mine courtesy of IMIDRO. Zinc has rallied of late, being the best performing commodity on the London Metal Exchange for the week March 13-17. Up 12% year to date, the corrosion-resistant metal is being buoyed by record refined output in China and tight supply after a number of mine closures. News out of Iran this week, however, could stem price gains, especially if more zinc mines come on stream around the same time as plans to develop the massive Mehdiabad zinc mine, come to fruition. Reuters reported that Iranian Mines and Mining Industries Development and Renovation Organisation (IMIDRO) signed a $1-billion deal with private investors over the weekend to build the mine, which is expected to become operational in four years and produce an annual 800,000 tonnes of zinc concentrate. The investors comprise a private consortium of six companies, led by Iran's Mobin Mining and Construction Company, which would run the mine for 25 years. IMIDRO estimates the lead-zinc-silver mine has 154 million tonnes of proven reserves, which could rise to 700 million tonnes after exploration. Reuters notes the 800,000 tonnes of expected annual zinc concentrate compares to 13.2 million tonnes of zinc in concentrate produced throughout the world last year. The announcement comes as Washington voted in January to extend sanctions against Tehran, whose nuclear ambitions have been a thorn in the side of the West, despite a historic deal made in 2015 with six countries in exchange for curbing its nuclear program. Iran has the world's largest proven zinc reserves estimated at roughly 300 million tonnes, but the sector is vastly underdeveloped according to BMI Research, with just 0.5% mined so far. Iran sits behind China, Kazakhstan and India as the world's number four producer of zinc ore.
After several years of production decline, Iran's zinc mine output is set to return to positive growth, boosted by stronger international prices and booming demand from domestic construction. The two largest mines are Mehdiabad with 16.5 million tonnes of zinc ore reserves and the Angouran mine with 9 million tonnes of remaining zinc ore reserves. Lead and zinc production are in the hands of Iran Zinc Mines Development Group, Bama Mining & Industrial, Bafgh Mines and Calcimin.